Founded by husband and wife team Nick and Alejandra in 2012, The Foodies Larder was dedicated to introducing people to new tastes and flavours from Spain via a monthly food hamper subscription offering. Fast forward to today and the focus is still on sourcing the very best gourmet food and drink products, but with a particular focus on (obsession with) stunning coffee! 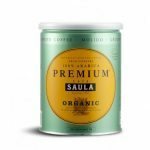 We work exclusively with Café Saula, a traditional family-owned roasting house based in Barcelona, selling their Gran Espresso range of Ground and Whole Bean Coffees on Amazon Europe. Then in early 2017 we made a decision to tackle the incredible waste associated with single serve coffee capsules, in particular Nespresso’s own aluminium capsules and plastic Nespresso® compatible capsules. So it’s with great pride that we now offer our very own premium Biodegradable and compostable coffee capsules, compatible with all Nespresso® machines. 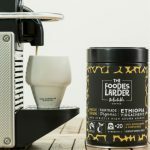 Part of our Foodies Larder ‘Delectable’ Range, we offer a choice of Peruvian, Ethiopian Yirgacheffe and Swiss Water Decaff capsules, filled with rich, Single Origin, Organic and Fairtrade coffee. Our Peruvian is also Rainforest Alliance certified, while our Organic Swiss Water Decaffeinated coffee uses a 100% chemical-free process to extract the caffeine from the beans…healthy for you and healthy for the planet. 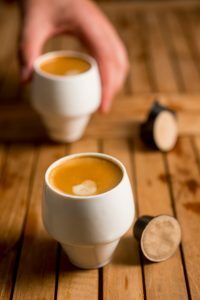 Containing 10% more coffee than a standard Nespresso® capsule, our biodegradable coffee capsules really are a delectable, ethical cup of coffee! We don’t plan to stop at coffee though. 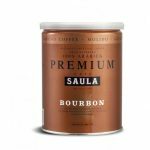 We will continue source unique products and brands from across the world while adding to our own Foodies Larder ranges. So we very much hope you’ll follow our exciting journey and enjoy a most Delectable eating and drinking experience with us along the way!